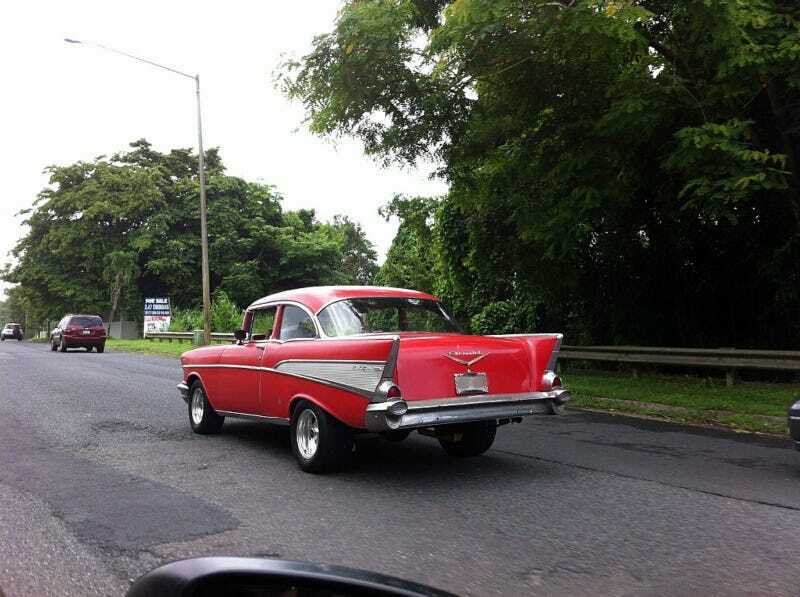 Saturday morning, my girlfriend and I went to the beach to meet up with some friends and found this Chevy Bel Air cruising the streets of Trujillo Alto. The tires were a little bit to meaty for my taste but nonetheless it looked great. Photo taken June 15, 2013 in Trujillo Alto, Puerto Rico.